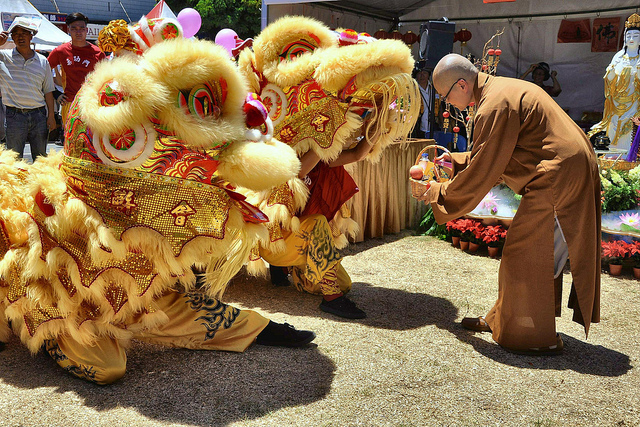 As the world reined in the Chinese New Year on January 31st, you probably heard lots of talk of horses. So what exactly does the Year of the Horse mean? Well hold your 马 (mă) and we will tell you! A few weeks ago we talked about calendars and days in China in our Dating in China post, but we’ve never explained the Chinese zodiac. 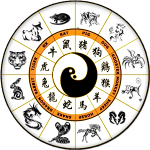 Chinese astrology dates back thousands of years to the Zhou dynasty (1046–256 BC), flourishing during the Han Dynasty (2nd century BC to 2nd century AD) alongside such principles of yin and yang, the five elements, and Confucianism. There are twelve animals in the Chinese zodiac to represent the twelve full moons in a year. Just like the twelve signs in Western astrology, certain characteristics are associated with the different signs, and people belonging to each sign are said to possess certain traits. How were the 12 particular animals selected? Legend has it that long ago a Jade Emperor summoned all the animals to a meeting. The years of the calendar would be assigned according to the order that the animals arrived. Thus, the animals in the Great Race arrived in the following order: rat, ox, tiger, rabbit, dragon, snake, horse, sheep, monkey, rooster, dog, and lastly, pig. The horse is associated with brightness, energy, intelligence, and competence. A go-getter person could be called a 千里马 (qiān lĭ mă), which is a horse that can gallop 1,000 li a day. 里 = lĭ , a measurement equivalent to about 400km. A Zodiac Trick (well, kind of): Knowing someone’s Chinese zodiac makes it easy to guess their age. For example, if it’s 2014 and you’ve just met a horse, they are either 12, 24, 36, 48, 60, 72, or 90 years old. 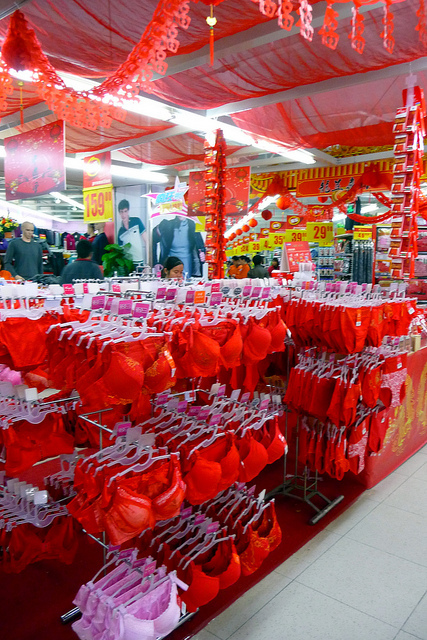 You may have also heard of the tradition to wear red during your animal’s years, usually undergarments. Why you ask? Well it’s believed that during one’s zodiac year, or 本命年 (bĕnmìngnián), it’s likely to encounter bad luck. The best way to avoid this misfortune is to wear red clothes and red jewelry, especially effective if you purchase the gear for yourself. Another component to the Chinese zodiac is the concept of the Four Pillars of Destiny, the four components which create a person’s destiny: the year, month, day, and hour of a person’s moment of birth. Not only is each year assigned an animal, but each month, day, and hour as well. So while you may be a Horse if you were born in the Year of the Horse, you might also be part Dragon, part Dog, and part Rabbit, depending on your exact time of birth. 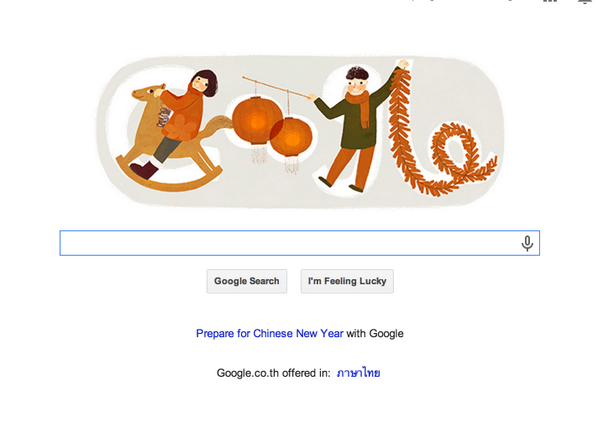 Google‘s homepage on January 31st. 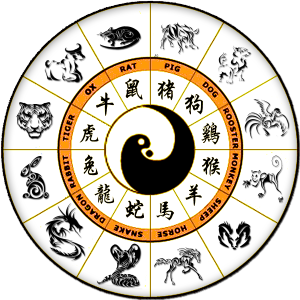 The Chinese Zodiac also incorporates the idea of the Five Elements, or Wu Xing. Every two years the element changes; the current Year of the Horse is a wood horse, hence Google’s Doodle displayed a wooden rocking horse on January 31st. Last year’s Year of the Snake and the year before that’s Year of the Dragon were both water years, where as next year’s Year of the Goat will also be a wooden one. Read more here about the five elements pertaining to the zodiac. 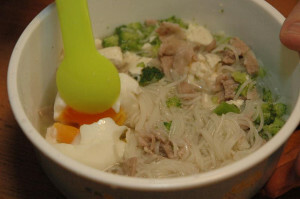 Remember the Chinese New Year tradition of eating longevity noodles, symbolizing long life and endless prosperity? 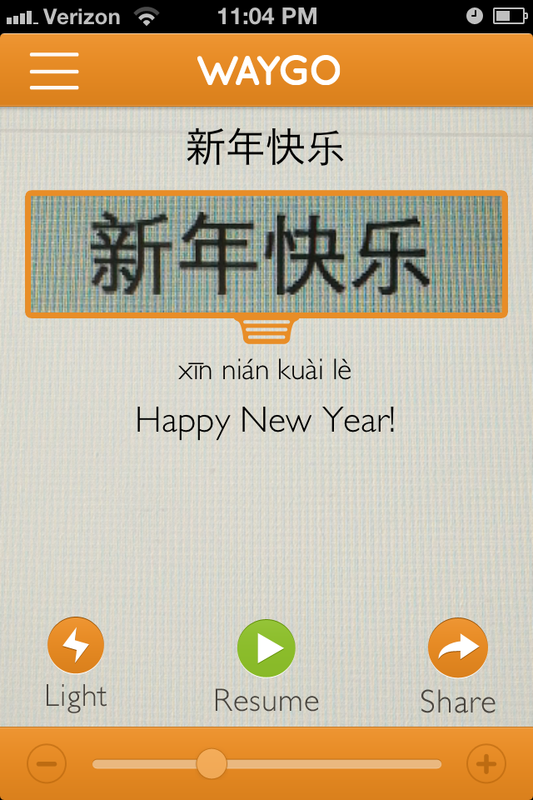 Well perhaps this year you can try the Guilin specialty, 马肉米粉 (mǎ ròu mǐ fěn)! From all of us here at Waygo, happy Year of the Wooden Horse!